Did you know that in the UK alone, wastage goes up 30%* over the festive season? Over 300,000 tonnes of card packaging is ploughed through each Christmas, and we throw away 227,000 miles of wrapping paper*! Global warming is just that, global. And with these figures only representing the UKs contribution to Christmas waste you can only imagine the pressure we put on our Mother Earth each year as a planet. All summer long we’ve been preparing for Christmas, as it’s likely you have been too! 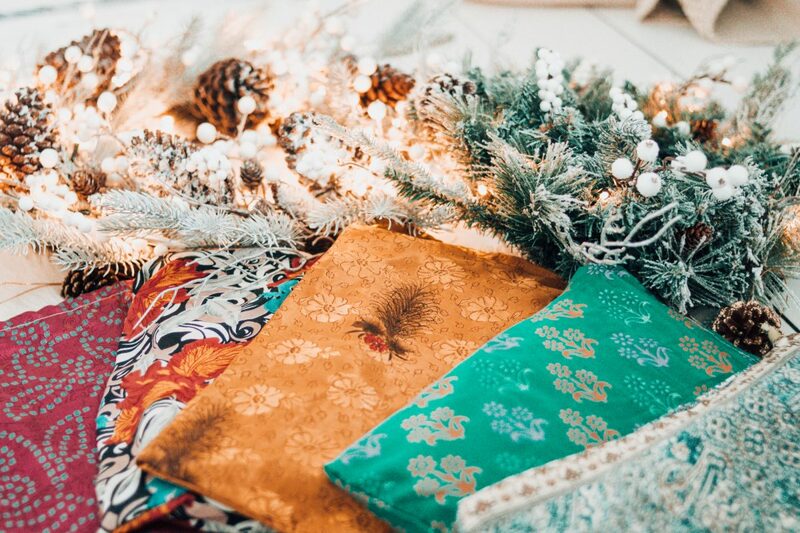 One of our favourite parts of Christmas gifting is always gorgeous presentation and making the space under the tree look colourful and fun, whilst still remaining sustainable and waste-free. 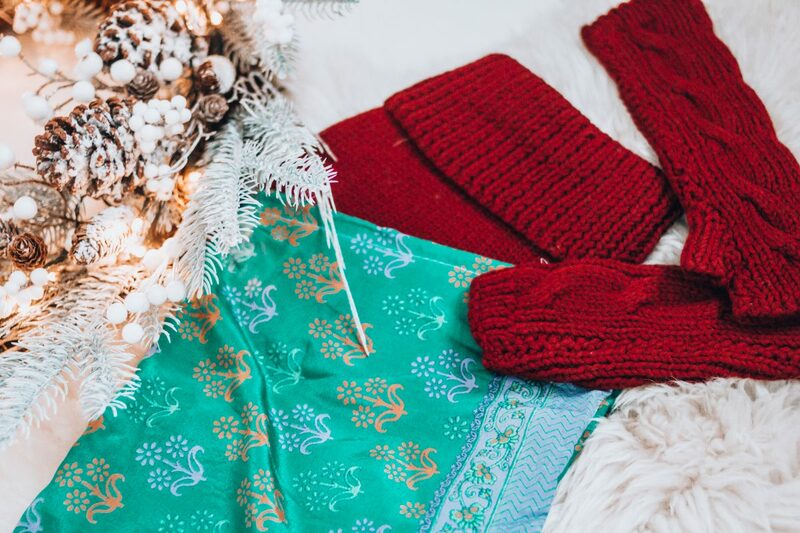 We’ve up-cycled some beautiful silky feel gifting bags made entirely of sari off-cuts and excess fabric for you to give your loved ones this year, containing anything from their new favourite blanket scarf right through to mittens, hats,and gloves! These beautiful gift bags can be re-used for all kinds of purposes and are a really luxurious final touch on your gifting preparations. 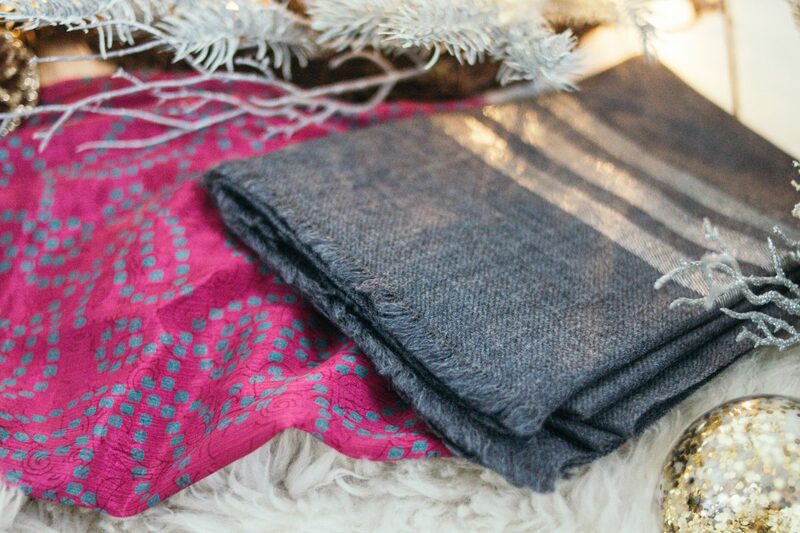 They’re now shipping free with every order of scarves and knits, and they arrive like in the photos below! These bags are available all year round, but Christmas is that extra special time of year where we feel in the spirit of giving. Due to the organic nature of how these off-cut fabrics were presented to us, no two are the same. 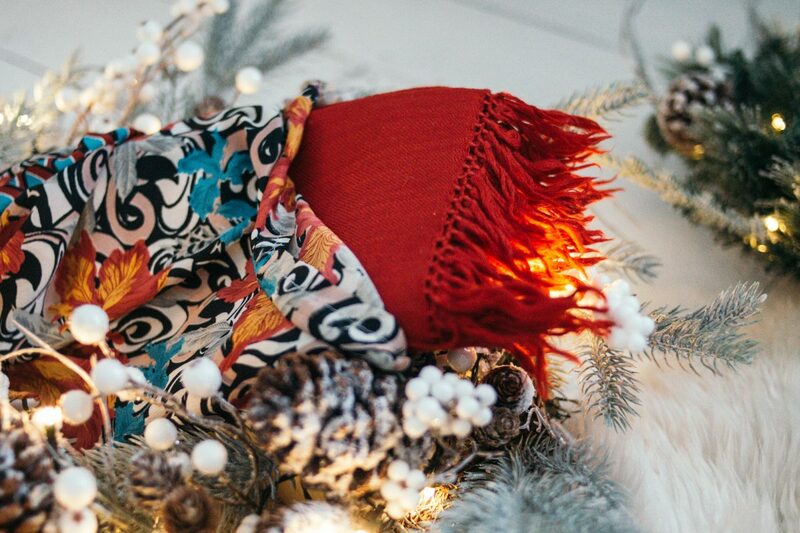 Each has it’s own quirks, pattern consistency and shape, and if a gift should be anything it’s unique – right? It’s not just us, either. 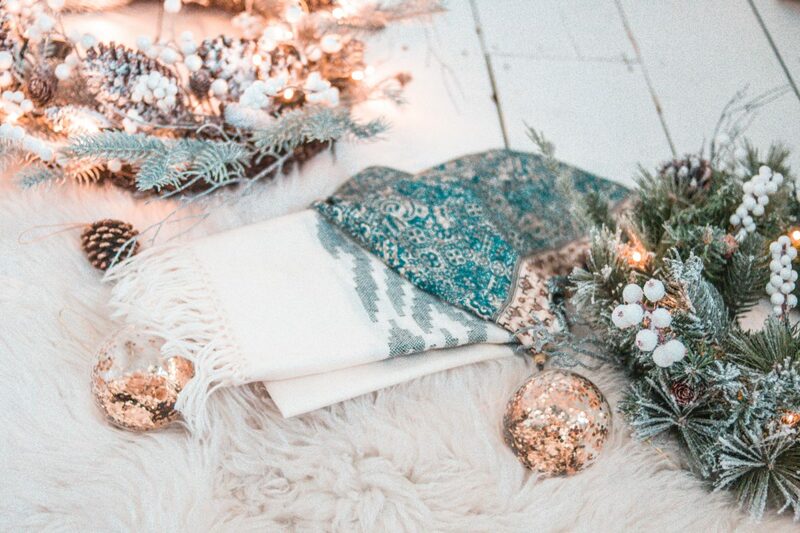 We want to shine a light on our favourite brands who are doing their bit to help save the planet this year and their methods of gift wrapping. 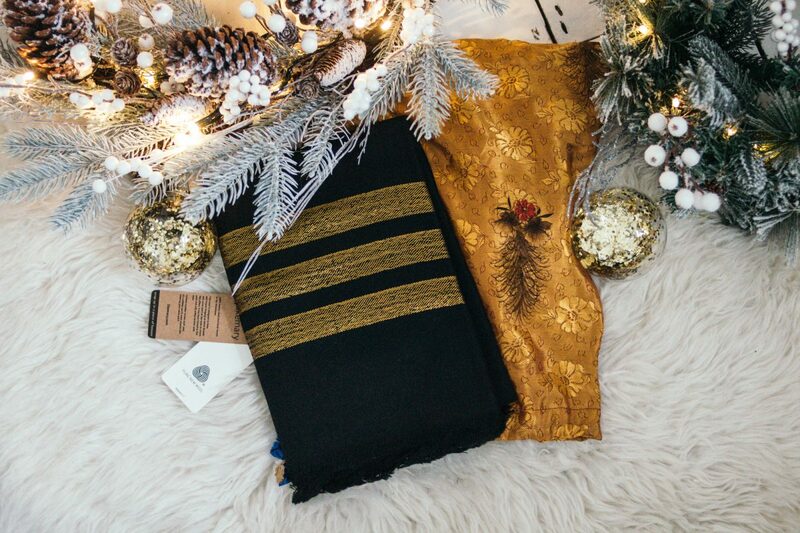 Lush – The cruelty-free cosmetics giant always offers scarf wrap options and recycled card and paper when gifting with their products at Christmas!